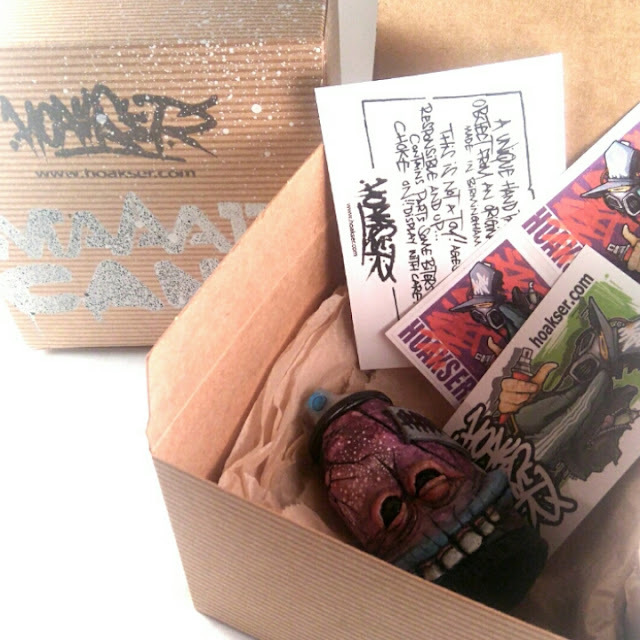 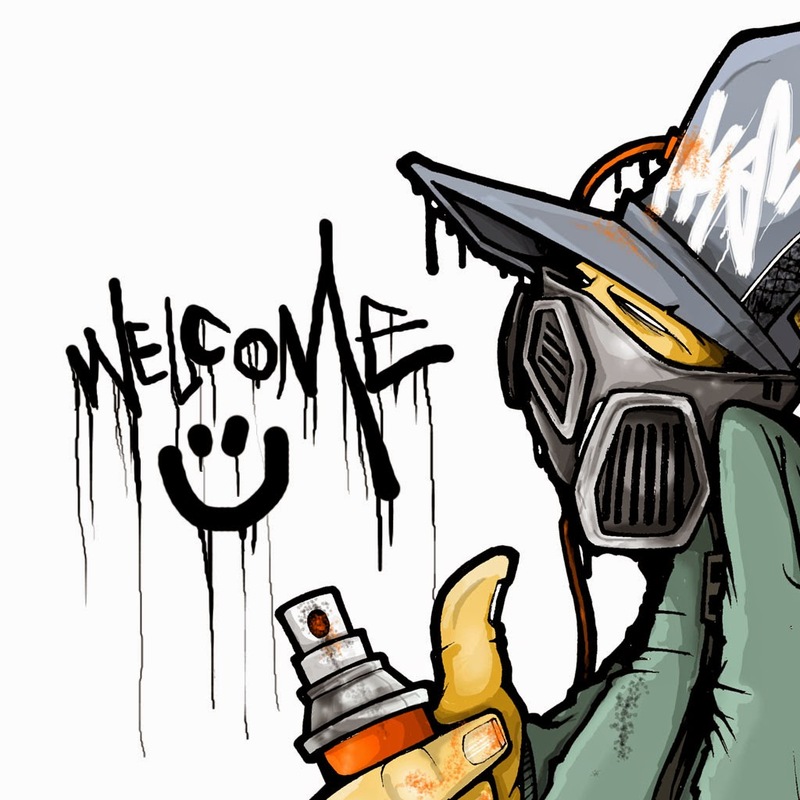 hoakser's blog: MINI MAAAD CANS .. resin spray cans series one..
MINI MAAAD CANS .. resin spray cans series one.. 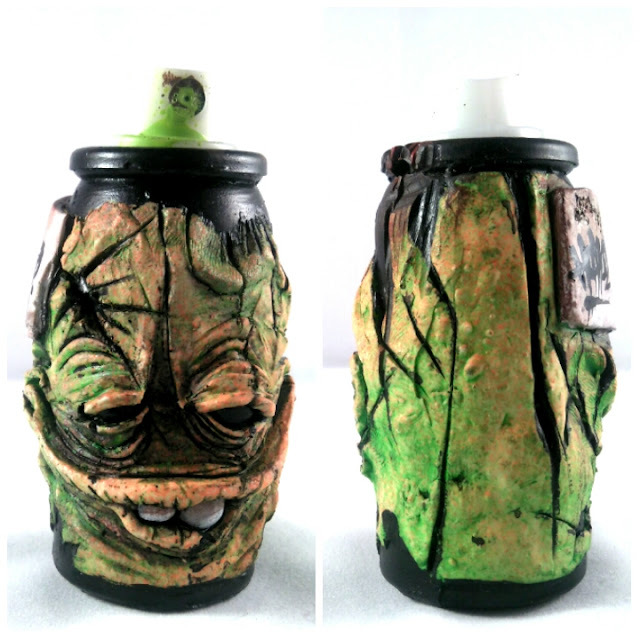 If you follow me on any of my social media sites you've probably seen a few progress posts of these things slowly taking over my desk.. 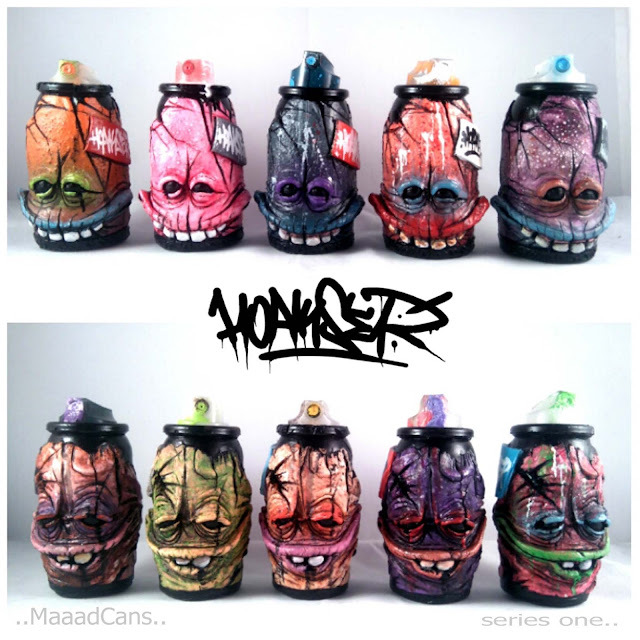 Cast in resin from original sculpts, these mini Maaad Cans are one of a kind pieces that get the same paint treatment as my normal sized versions on real empty cans (see more here). The first series of these much smaller 3.5 inch resins are finally finished which means they're ready to be claimed and do the honors of getting up in peoples space. 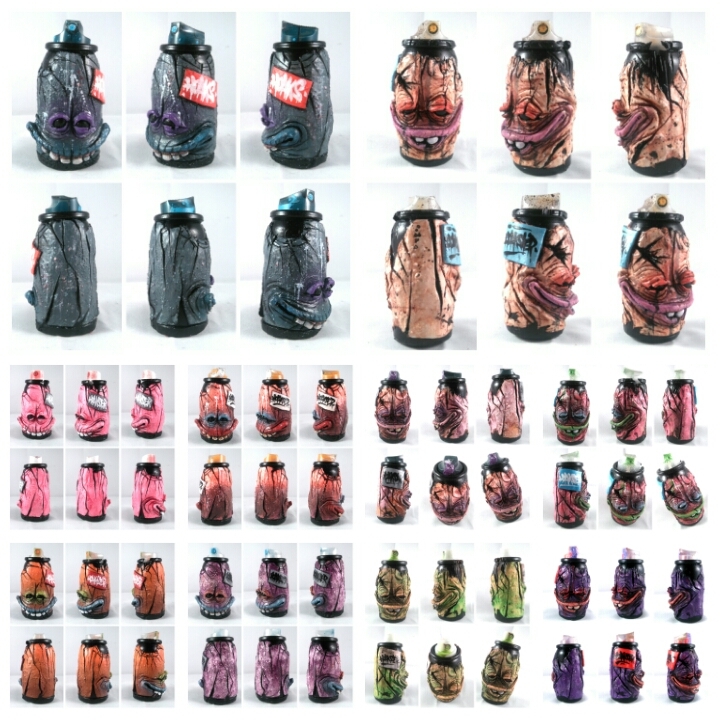 All of them are signed, unique pieces, painted with acrylics and spray paint before finishing with a coat of clear lacquer..The final cherry on top is selecting a used nozzle from a stash of hoarded blocked caps that compliment or match the color scheme of the cans. There's 5 of each of the two characters available for the first series, with more versions currently being worked on for future releases..Each figure comes boxed with stickers, priced at £25.00 each plus postage from my Bigcartel store..